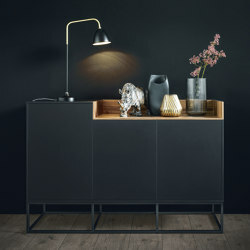 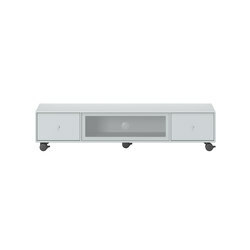 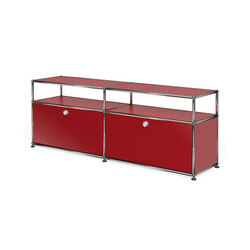 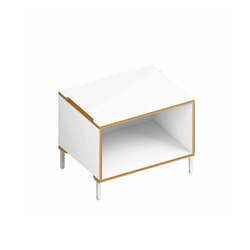 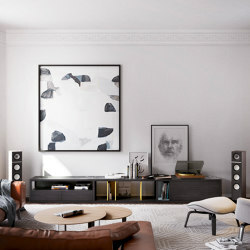 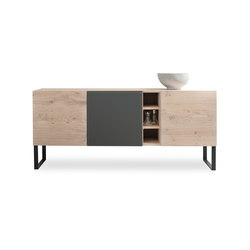 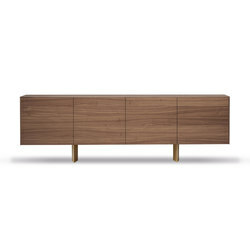 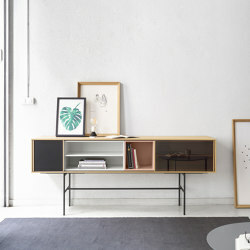 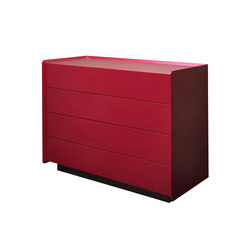 Sideboards are lower cupboards, whose top surface is low enough to allow placement of various decorative displays, while the side board itself usually conceals its contents within drawers or behind (sliding) doors. 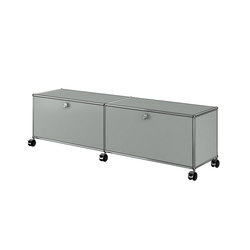 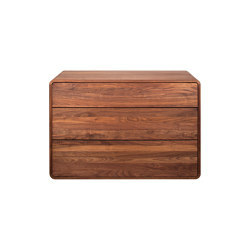 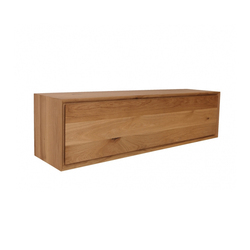 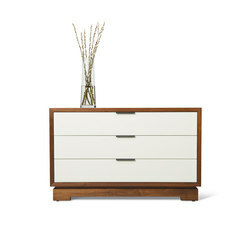 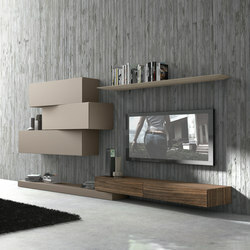 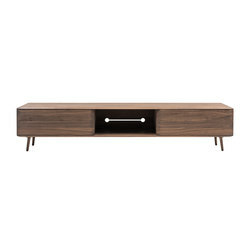 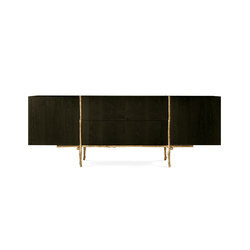 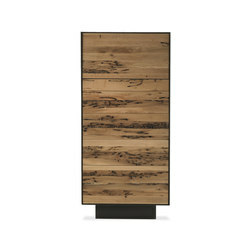 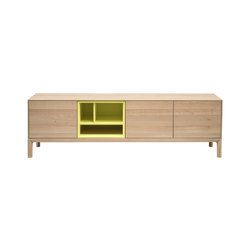 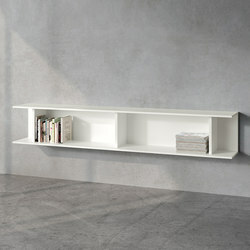 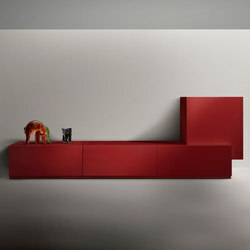 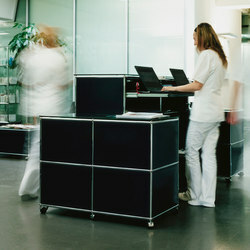 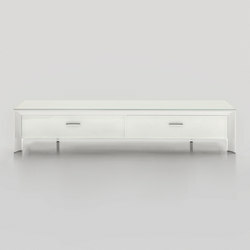 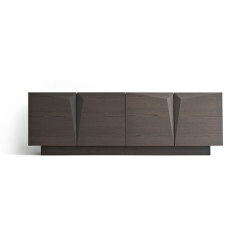 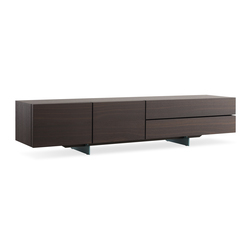 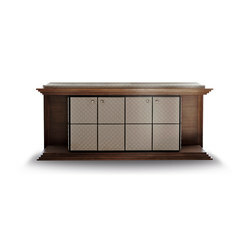 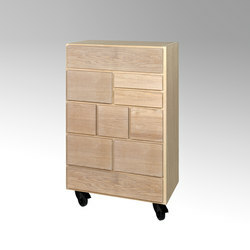 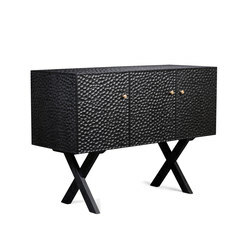 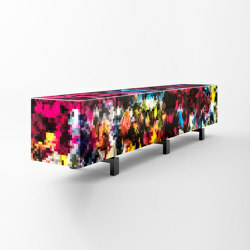 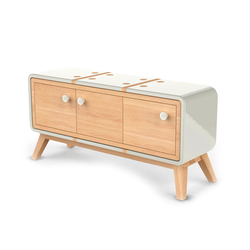 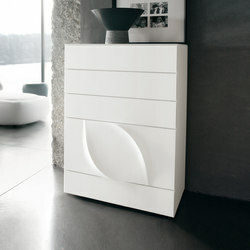 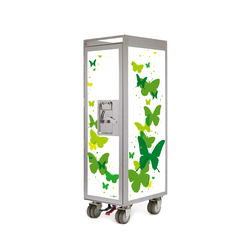 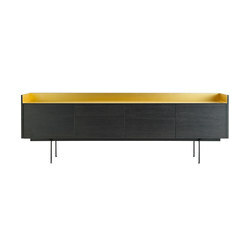 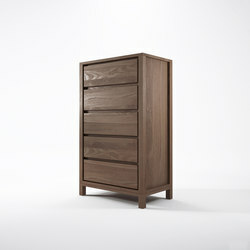 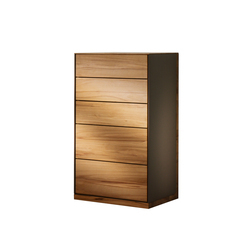 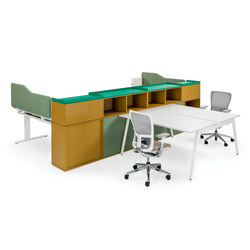 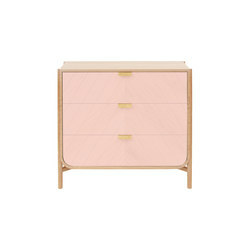 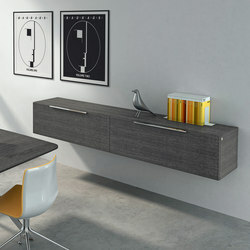 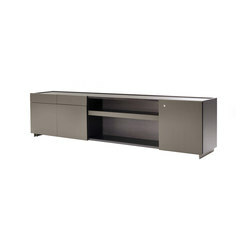 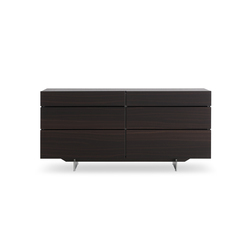 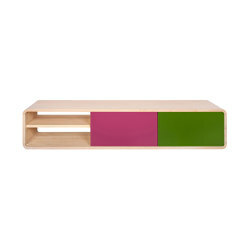 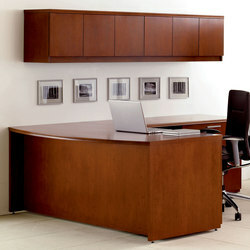 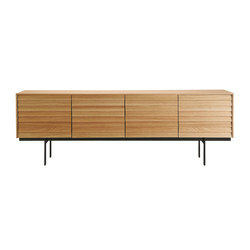 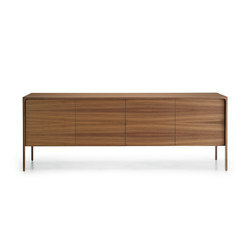 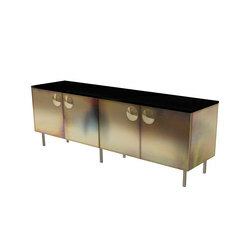 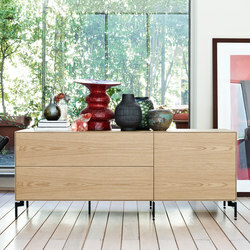 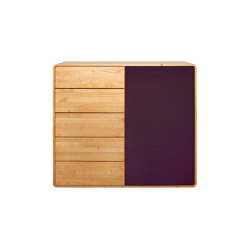 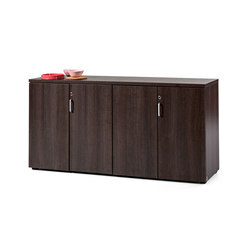 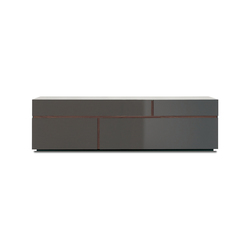 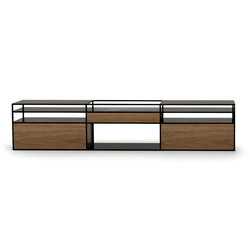 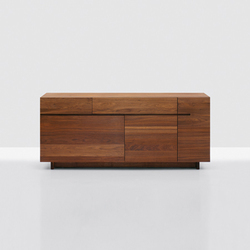 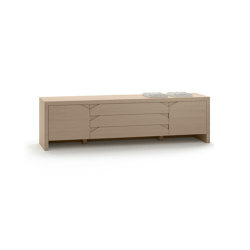 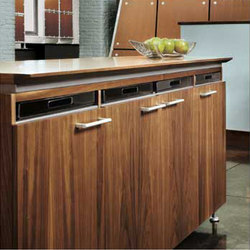 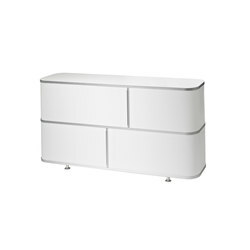 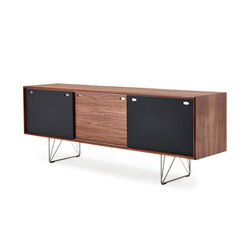 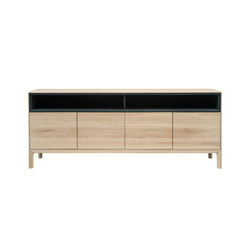 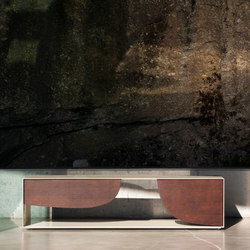 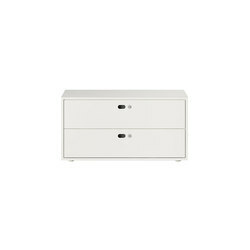 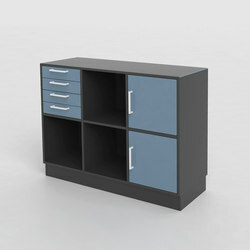 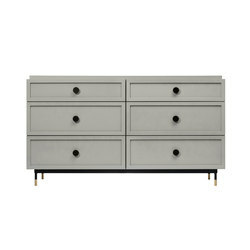 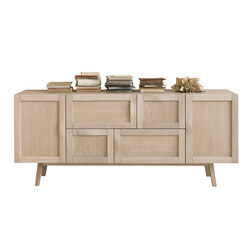 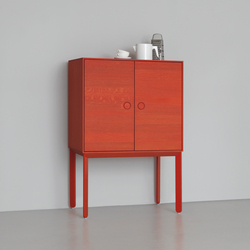 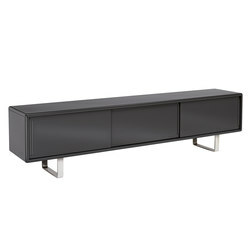 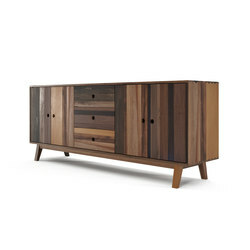 Sideboards are equally suited to be placed in living rooms, hallways, bedrooms or home offices. 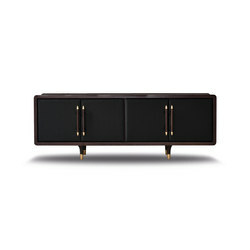 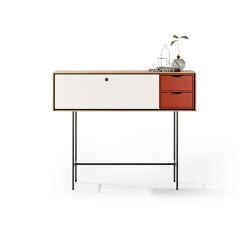 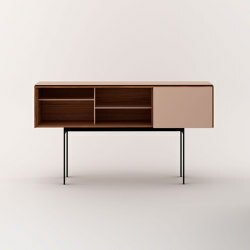 The combination of functional versatility and aesthetic considerations attracted numerous renowned designers to create a sideboard of their own. 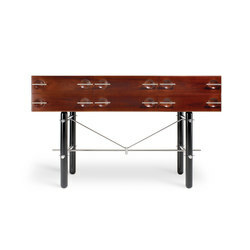 Charlotte Perriand’s luxurious ‘513 Riflesso’ from 1939, manufactured by Cassina, can be mounted on a wall, or supported by matching legs, and its aluminium sliding doors harmonise perfectly with modernist interwar furniture. 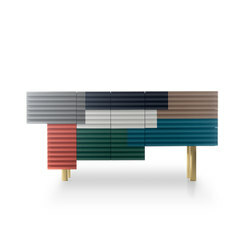 Gabriella Bellon’s Artisan-manufactured ‘Tablas Sideboard’ and ‘Tablas Commode’ are pared-down, archetypal designs executed wholly in wood. 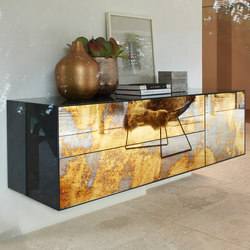 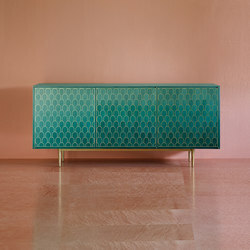 On the other hand, Boca do lobo’s ‘Diamond sideboard’ is a multi-faceted crystalline form, supported by small, lion’s head statuettes, its interior finished entirely in gold leaf. 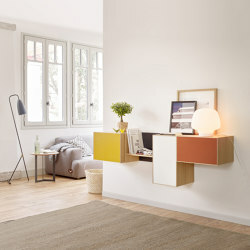 Nisse Strinning’s ‘string system’, first launched in 1949, explores a light and liberating industrial look, and offers a wide range of modules that can be assembled into sideboards, book shelves, wall-mounted desks and much more. 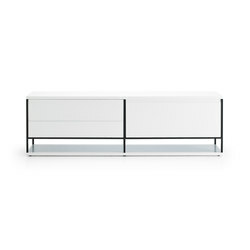 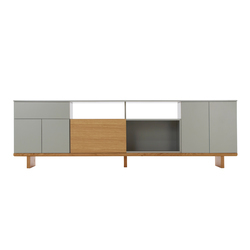 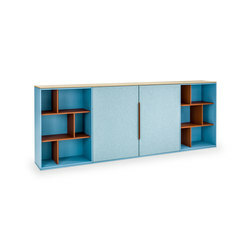 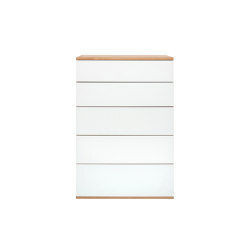 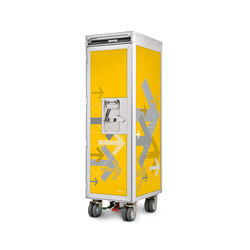 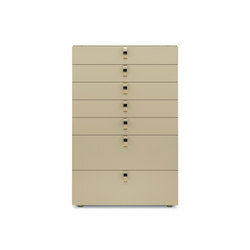 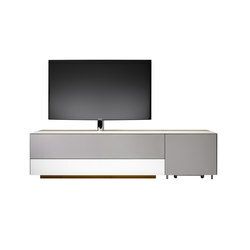 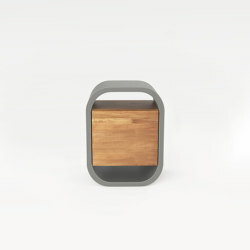 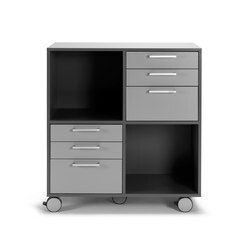 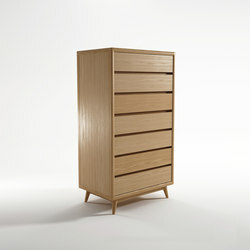 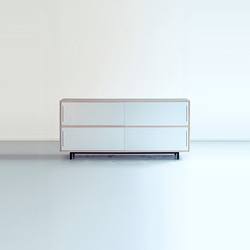 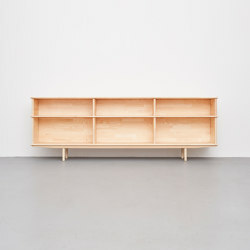 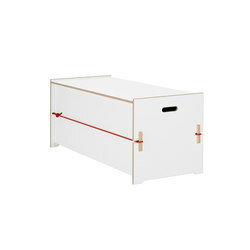 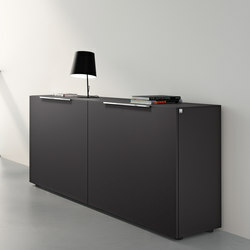 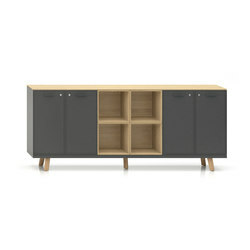 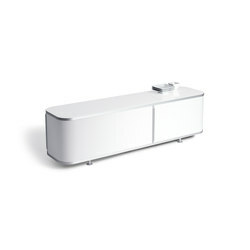 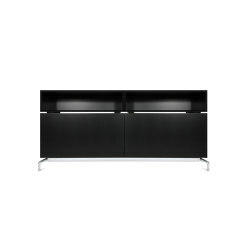 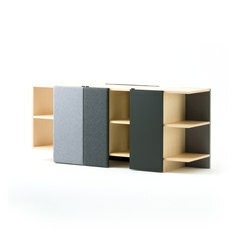 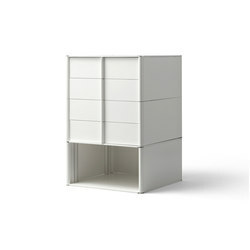 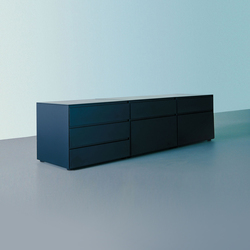 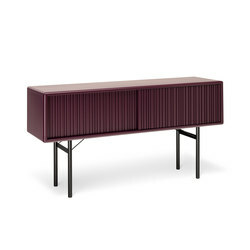 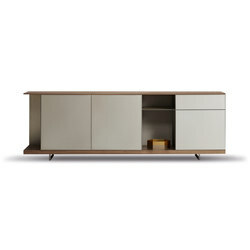 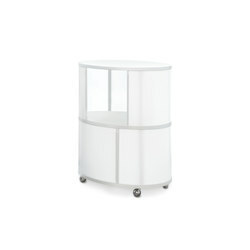 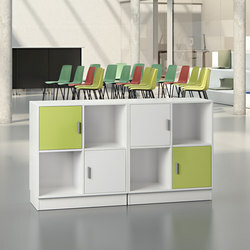 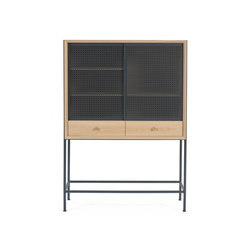 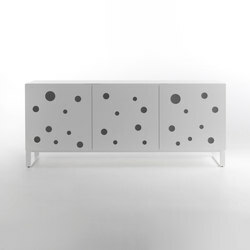 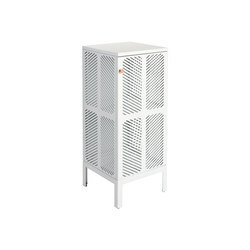 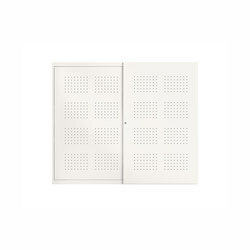 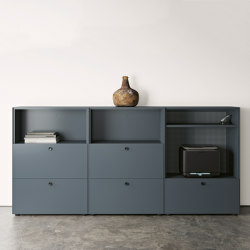 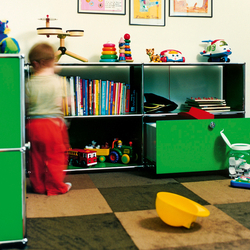 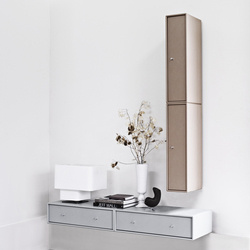 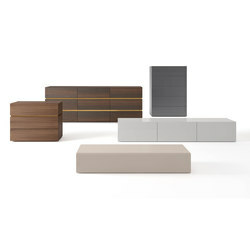 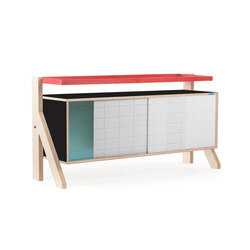 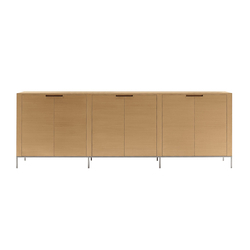 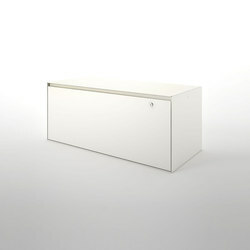 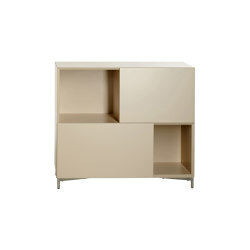 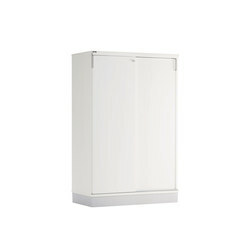 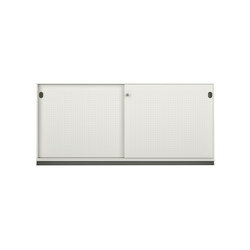 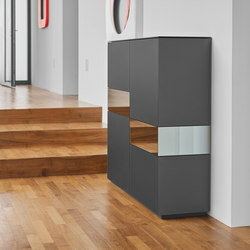 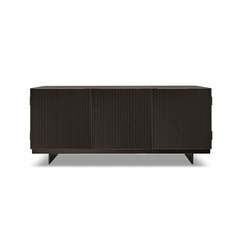 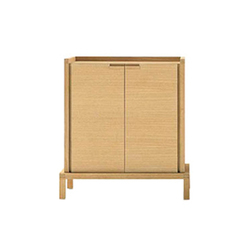 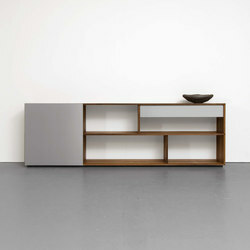 Maarten van Severen’s 2005 ‘Kast’ for Vitra also consists of several modules, the first one being a sideboard, and can be expanded upwards to create an effective room divider with alternating open and closed shelves. 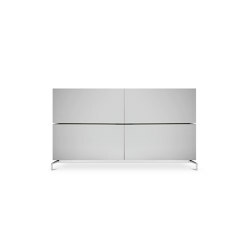 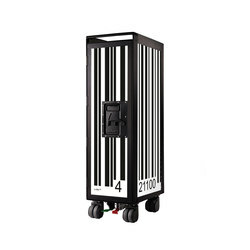 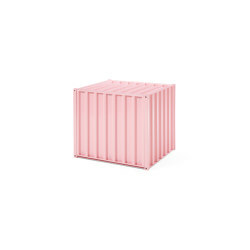 The French designer Philippe Starck once again marries traditional forms with modern materials in his all-plastic ‘Ghost Buster’ sideboard for Kartell, while Foster + Partners design a typically minimal, slightly rounded ‘Shift’ sideboard for Techno. 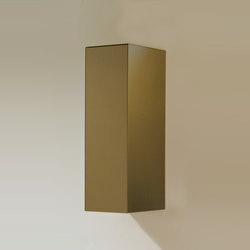 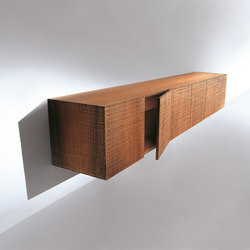 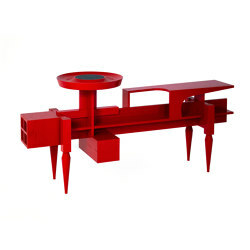 Bruno Rainaldi’s ‘Le ragazze formose’ for Opinion Ciatti is a sculptural sideboard, which is partly wall-mounted as it bends towards the ground. 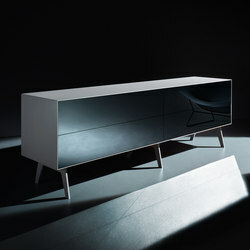 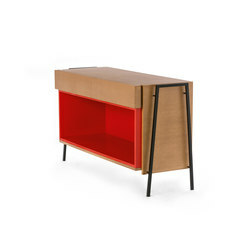 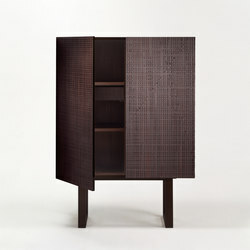 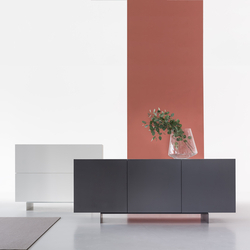 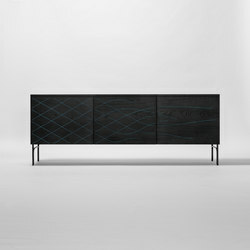 Our brief overview of different sideboards ends with Shiro Kuramata’s high, freestanding ‘Revolving Cabinet | PC/15’ sideboard for Cappellini, which is in essence a series of, red, revolving drawers, Pastoe’s 2007, wall-mounted ‘Vision Elements VE22’, which returns back to a more serious minimalist expression with handleless fronts and soft colours, and the architect Jean Nouvel’s 1999 ‘Compact’ for Zeroitalia, a series of differently coloured, stackable all-glass modules.